THE GLOVES ARE ON FOR FLOGGING MOLLY! U.S. based Celtic folk-punks FLOGGING MOLLY return this week with a lyric video for their first new single in six years. Fronted by Irish émigré Dave King, former singer for Fast Eddie Clarke’s 80s band FASTWAY, the Los Angeles-based band have been stalwarts on the U.S. Celtic scene for nearly two decades. 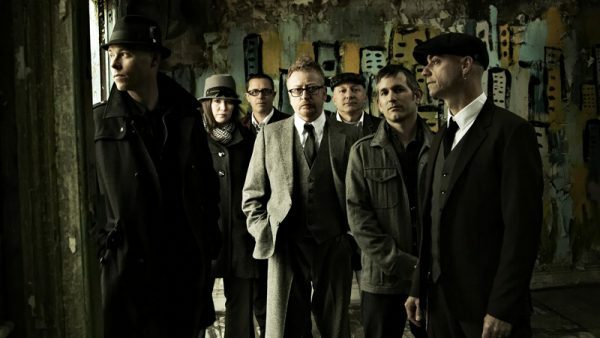 Now signed to legendary roots label Vanguard, Flogging Molly now present ‘The Hand Of John L Sullivan’ a first track taken from their forthcoming new album. A paean to the late-19th Centrury Irish-American boxer, aka the Boston Strong Boy, the first ever heavyweight champ in gloved boxing, the song is available to download now from iTunes. ‹ Free Joe Strummer DVD when you subscribe from issue 34!